There has never been a more important time as a Board Member or CEO to consider Succession Planning at all levels. The board should focus on having the best leader possible leading the organization, the CEO should focus on surrounding herself or himself with outstanding talent capable of advancement. 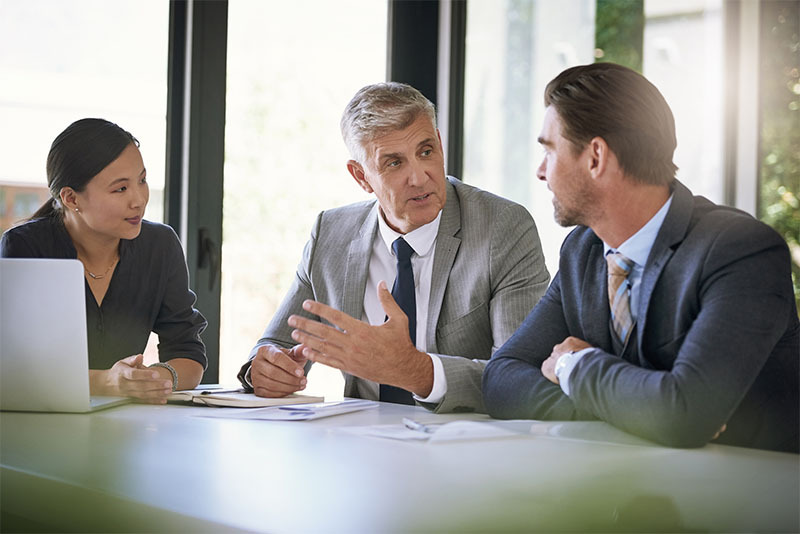 Our team of search professionals have extensive experience working with a board, and executives charged with the important task of succession planning. We have executed hundreds of executive level positions with a 95% success rate in less than twelve weeks. Our first suggestion is never to “go external”. Our first responsibility is to assess internal talent: there could be a hidden gem in your midst. This accomplishes several goals, most notably “It’s the right thing to do”. Our internal candidate assessment is held to the same high standards and expectations that we use for external candidates. A written exercise is required from every candidate to uncover things that will not necessarily be readily apparent in a face-to-face interview. If you do not have “ready now” talent, or are interested in having a conversation on how we can benchmark your internal talent to the market, contact us today.